The Hill Climb at Gunstock is back this year! After being gone for five years, the Gunstock Hill Climb will take place on Wednesday, June 14th rain or shine. It all starts at 9am. 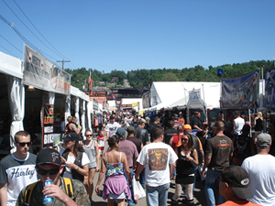 The Laconia Motorcycle Rally in New Hampshire is the oldest national motorcycle rally. In 1916, a few hundred motorcyclists got together at Weirs Beach. In 1917 it became an official event known as a Gypsy Tour. Gypsy Tours turned into modern day rallies where motorcyclists gather for races, hill climbs, field events, local rides and other festivities. Theres a full schedule of events for this 90th year anniversary celebration. They include the US Vintage Motorcycle Grand Prix: Racing at NHMS, charity and memorial bike rides, Motocross club races, contests, live music, demos, and so much more. All the fun happens around the Laconia area mostly at Weirs Beach on Lake Winnipesaukee in New Hampshire. Other attractions include; demo rides, biker contests, games, dynos to test your bikes horse power or tune the carbs, promo girls representing various vendors, poker runs, guided rides, tattoo contest, music tents and more. Since the main part of the Laconia bike week is at the Weirs, every biker tries to get a room there. It's nearly impossible to find a room late in the season. But, with some persistence there's a chance you can get a room there, if not this year, perhaps next year. The best time to get started calling for a room is in February. Try again in March and again in April. Deposits are required by April. If the lodging place doesn't receive a deposit from previous bookings, then the room becomes available. Its really good to use email because then you have a record of every transaction. Please don't use an obnoxious email address because proprietors won't answer them. Other options are to look outside of the Lake Winnipesaukee area in other parts of New Hampshire. More rooms open up. If you go North, room rates are generally cheaper. You can find a listing of motels and campgrounds for bike week that are within a reasonable distance from the Weirs from the Laconia Insider. 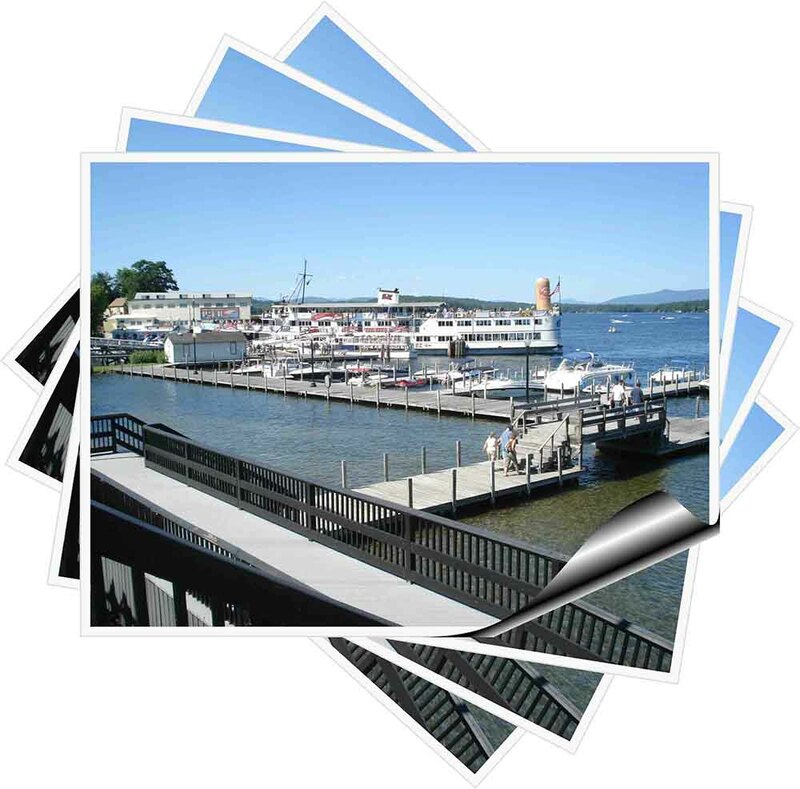 You can also check other Lake Winnipesaukee accommodations that may offer seasonal rentals. Many vendors are lined up throughout the region offering their wares to bikers and visitors alike. You can find them throughout the main drag at the Weirs all the way up to and beyond Meredith. But, they aren't just in the Weirs area. You can find vendors on the main roads leading into the Weirs from all directions. This is a good time to buy souvenirs or update your biker wardrobe. You can find many leather goods to choose from including jackets, boots, hats, chaps and more. There are vendors that sell the latest in eye protection, rain gear, helmets, tattoos and even french fries. During bike week, you'll have a lot of traffic. The City of Laconia, New Hampshire tries to keep things going. For the last weekend (Friday - Sunday) expect to go super slow. There will be delays outside of the Weirs Beach area as well. Motorcycle riding, in the beginning, was limited to a group of enthusiasts who enjoyed the challenge of riding the rough road systems on dangerous machines that needed constant mechanical tinkering. Advances in the bikes were brought about as the U.S. Government commissioned several companies to produce motorcycles to use in World War II. Many returning veterans bought surplus motorcycles after the war and started to create clubs to organize group rides and activities. In the late 60's and early 70's motorcycles became safer, easier to ride and more dependable as more companies, especially those from Japan, began competing for the US market. Today, motorcycling is very popular in many countries with clubs of all sizes forming as a means of getting together for rides and other social events. 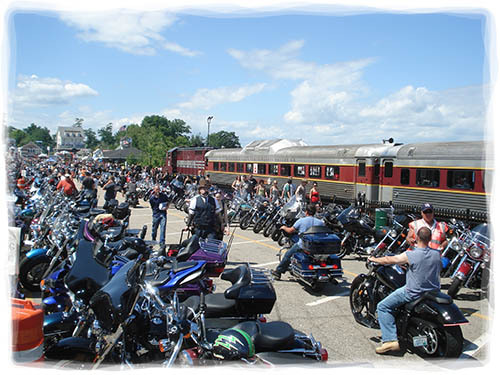 The Laconia Bike Rally in New Hampshire is billed as the oldest national motorcycle rally in United States. The original rally was basically a large gathering of motorcyclists from the New England area in the summer of 1916, most of them probably came up from Massachusetts. The original motorcycle rally participants gathered at the Weirs as that was one of the largest summer resorts in New England at the time. There were races in the area that were well organized by local enthusiasts. The Laconia rally has morphed and changed over the years. You can read about the history of the Laconia bike week in a very nice online book.